Melbourne Now is National Gallery of Victoria’s exhibition celebrating the latest art, architecture, design, performance and cultural practice of creative Melbourne. 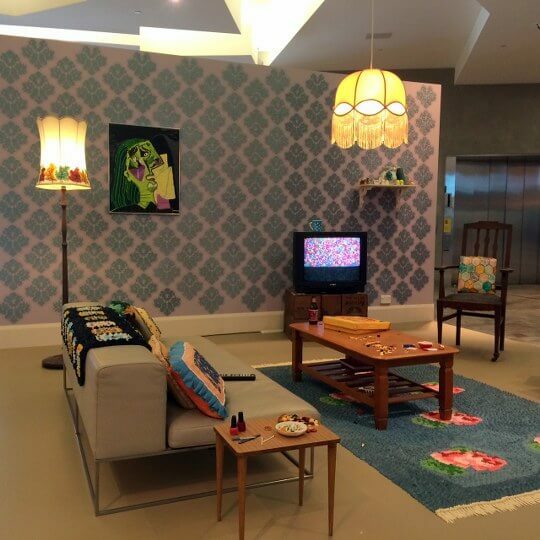 It spans both NGV International and NGV Australia and you’ll need lots of time to visit both. 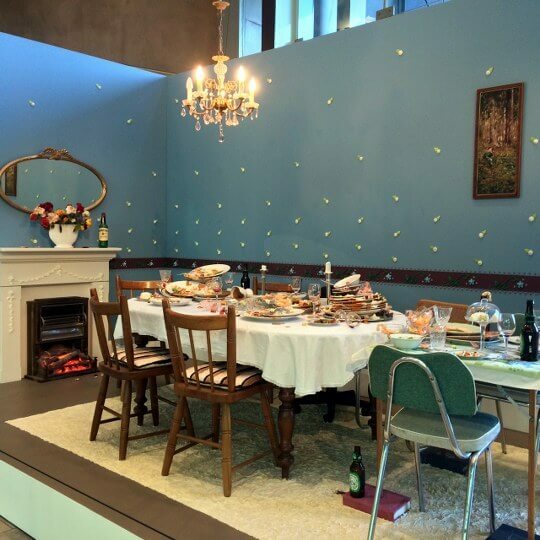 When you first enter the foyer of the Ian Potter Centre, NGV Australia you’ll see an amazing lounge room, hallway and dining made up of piped icing. 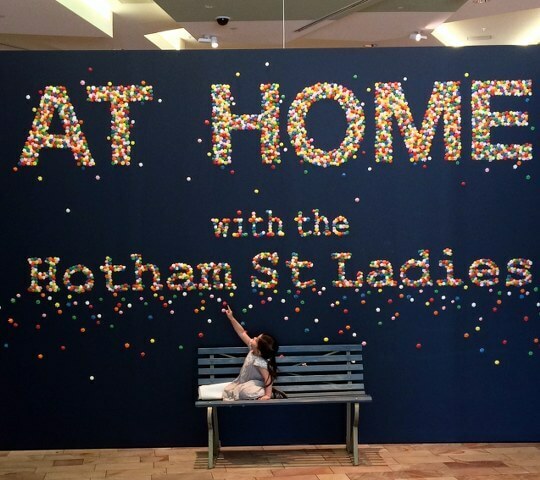 ‘At home with the Hotham Street Ladies‘ is by the Hotham Street Ladies, five women who at one time lived in a share house in Hotham Street, Collingwood. Together they create food-related art, such as cake sculptures and street art, in a commentary about craft, domesticity and feminism. 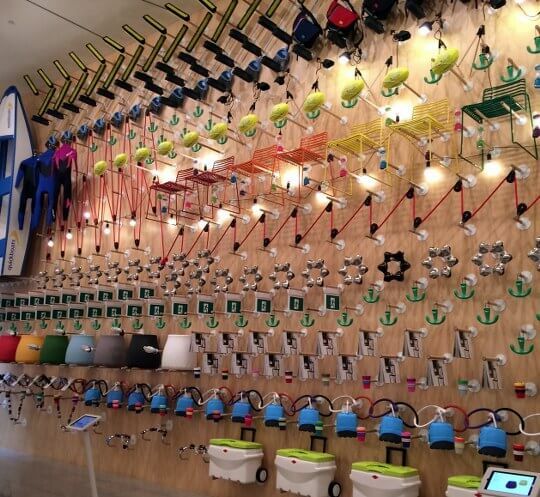 The installations are quirky, humorous and definitely lickable and there are lots of fun details to spot. Also on the ground floor is Show us your World by Jan Senbergs. 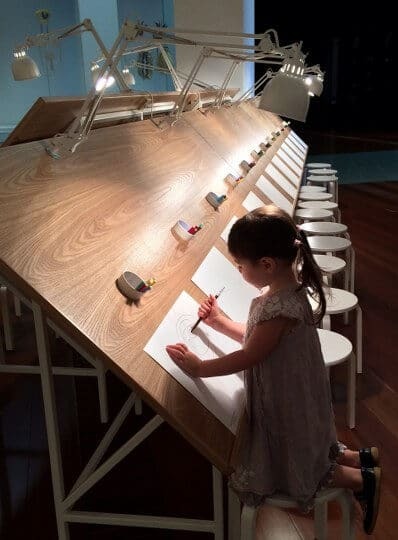 Along a wall are a series of picture maps from different eras and a long drafting table with inset cups of coloured pencils to encourage kids to draw their own world, real or imaginary. They can then contribute to the exhibit by posting their pictures on the wall. 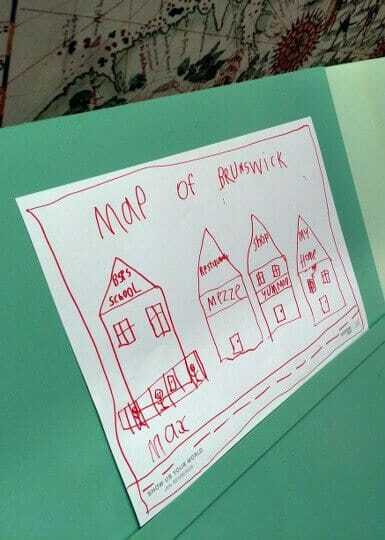 I saw squiggly maps of Brunswick, maps of ‘home-school-nanna’s house’ and one with a dragon! As you head up the stairs to the second level admire Triptych by Melbourne fashion designer Toni Maticevski. I have been obsessed by his work since seeing it at Bendigo Art Gallery and this series of three dresses continue his use of neoprene in intricate, sculptural ways. Their figures hang silently in the stark corridor of the stairwell and the effect is breathtaking. They were by far my favourite works in the exhibition. On the second level in a previously void space is MARLARKY by Slow Art Collective. 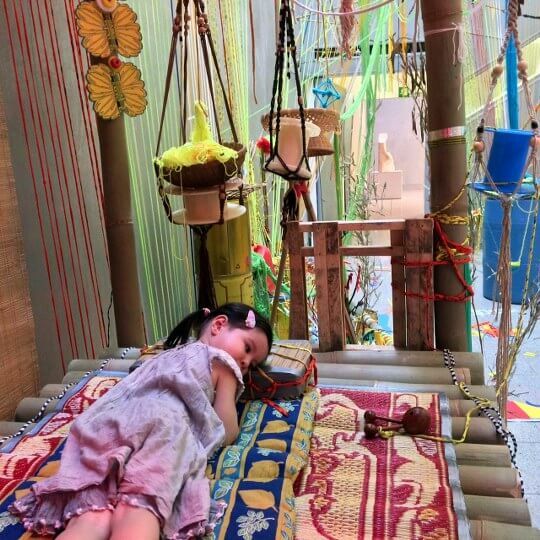 It’s a bright, playful and environmentally sustainable domestic habitat which encourages you to ‘play house’ amongst old tin cans, wool, mats and makeshift furniture made from found materials. 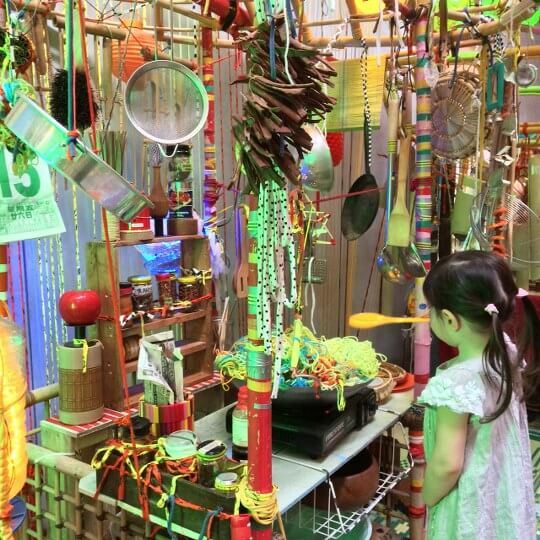 You can serve tea from the tea set, stir-fry woollen noodles in the wok, have a sleep on the bed and dance under the teepee, hitting the shapes to emit different sounds. This is just a snapshot of the vast Melbourne Now at NGV Australia. 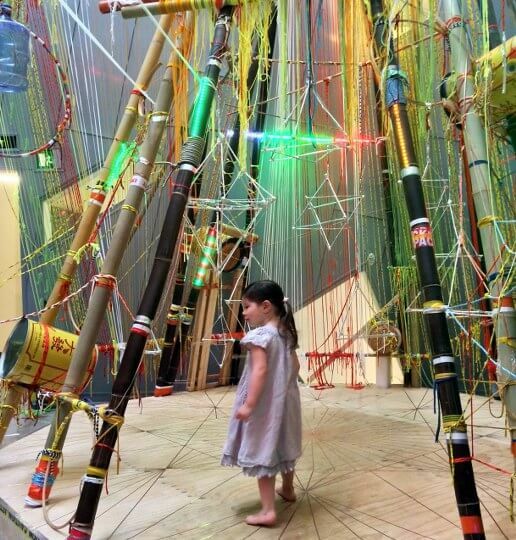 To continue your exploration of Melbourne Now you can also visit the rest of the exhibition at NGV International.